The Internal Revenue Service’s website suffered a systemwide computer failure on the last day for taxpayers to pay their 2017 taxes without a penalty or extension. The website malfunction began in the early hours of Tuesday morning. The crash affected a crucial part of the agency’s website that allows taxpayers to file returns electronically and make their tax payments directly through their bank accounts. The problem was not resolved until early evening. Visitors to the direct pay portion of the website saw a warning that the service was unavailable. The website said it was undergoing a “planned outage” beginning on Tax Day that would last until Dec. 31, 9999. At the time, taxpayers were instructed that their payments were still due despite the outage. Later that evening, the I.R.S. issued a statement that said taxpayers would be given an additional day to file their returns. David Kautter, the acting I.R.S. commissioner, apologized for the situation and said that filers wouldn’t be penalized if their returns were late due to the site’s problems. Millions of Americans were expected to file their tax returns on Tax Day. Last year, five million taxpayers filed on Tax Day. The IRS’s technical difficulties affected all tax preparers and tax returns. The I.R.S. believes that the problem was most likely related to a hardware issue instead of being the result of a cyberattack. Treasury Secretary Steven Mnuchin called the malfunction a “high-volume technical issue”. 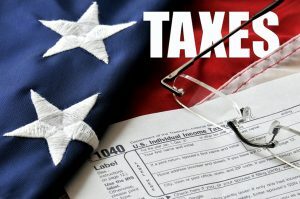 The complex tax code, along with an increasing number of people who file electronically, has strained the antiquated computer system used by the I.R.S. Taxpayers could still file returns and send payments through the mail. Jeffrey Tribiano, the I.R.S. deputy commissioner for operations support, said during a House subcommittee meeting, “The I.R.S. needs to upgrade its I.T. infrastructure, not only to help ensure reliable and modern taxpayer services, but also to mitigate risks to the system. We are concerned that the potential for a catastrophic system failure is increasing as our infrastructure continues to age.” Since 2010, the agency’s total budget has fallen about $2.5 billion and its staff has shrunk by 20,000.